Members of Ferring Conservation Group have recently been carrying out more practical work in the village in order to improve our local environment and particularly to make it a more welcoming place for our wildlife. 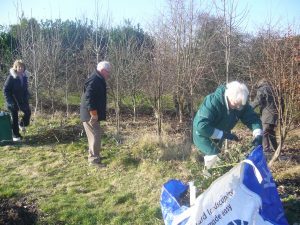 In the first of our regular monthly small work parties, a number of members met at the Glebelands Recreation Ground in the centre of the village to carry out some practical work around the Community Orchard. 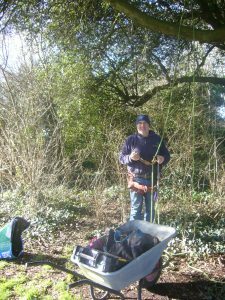 The main task was to cut back the invasive brambles that had grown up in the small copse of trees that back on to the fruit trees themselves and had threatened to overwhelm them. This was completed quickly and efficiently, and without too many scratches from the enormous thorns! The trees will be very grateful for the removal of some of the competition. 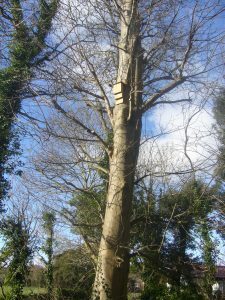 The Group has also arranged the installation of a large Tawny Owl nest box and a slightly smaller bat box in the copses at the Little Twitten Recreation Ground, just off Sea Lane. The Owl box had been in place at the Warren Pond in the village, but it hadn’t been successful and it was felt better to move it to a location where Tawny Owls have been heard on a regular basis. It was quite a technical task to mount it in a suitable tree, and the services of an excellent local tree surgery company, Mr Tree (based in Worthing), were required to complete the job safely. Proper climbing equipment was deployed the tree surgeon, Shane Jones, and he was able to abseil back down to ground level when he had finished. 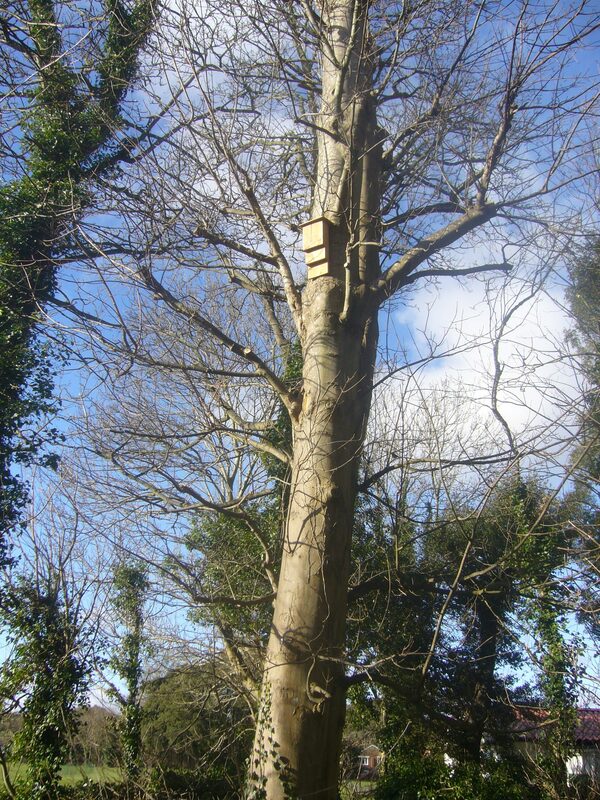 The bat box had been donated by two of our committee members, Lindsey and Chris Green, and this was fixed to a suitable large Sycamore tree in another part of the Recreation Ground. Time will tell, but we hope that the local Tawny Owls and bats approve of what we’ve done for them, especially as their natural nesting sites are reducing in number and suitability. We’ll be keeping an eye on the boxes, which are in addition to the significant number of smaller nest boxes that we’ve already put up around the village (thanks are due to committee member Graham Tuppen for refurbishing many of the boxes this Winter) , and we’ll be reporting on any developments. 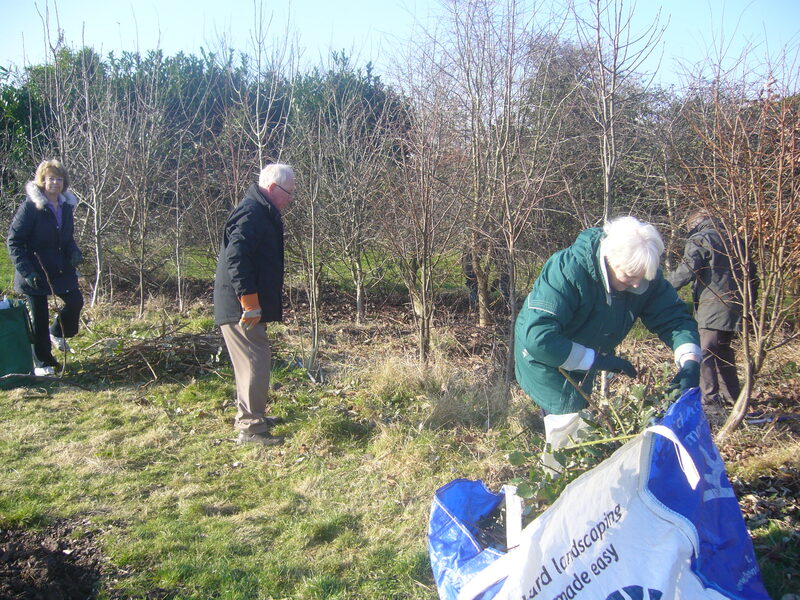 The next of the monthly work parties will take place from 10am on Tuesday 6 March, meeting on the Village Green. The task will be to cut back some of the bushes and generally tidy up the area that we look after. Please bring secateurs and loppers if you have them, and wear suitable clothing. This entry was posted in Conservation, News by David Bettiss. Bookmark the permalink.